Hotel deals - Everyone wants a cheaper rate or a comped (complimentary/no charge) room. (NEW: We've added a page of hotel deals to our website. Simply click HERE)The best way to get the lower rates is to check out the website of the hotel or hotel group you want to stay at and sign up to receive their e-mail offers. Click the name of the group below and you'll go to their sign-up page. We're only including Las Vegas hotels, even thought some groups have multi-state, or even international hotels. Be sure and check how much the resort fee costs per night and what those fees provide you. Usually, it gets you some combination of a daily newspaper, wired internet access, fitness room admission, free local/800 calls, in-room coffee, etc. The prices range from $6/night to $20+/night, so take that into consideration when you figure what your total hotel cost is. You can find a list of the fees HERE. Some hotels advertise no resort fees as part of their rate structure, but, the nightly hotel rate is much higher than what you'll pay at a hotel with a resort fee as an addition. So, figure your total price before you book! FYI, if you're working within a budget, the hotel tax in Las Vegas is 12% on the total of the room rate + any resort fee. Be sure and read the fine print and make sure the deal is not a prepaid promotion. All hotels will ask for a credit card to reserve the room (and charge one night's stay to the card). Note that whatever credit card you use to reserve your room is the same card the hotel will be looking for when you arrive at the hotel. If you're using a debit card, be sure and check the hotel's "hold" policy that is put on a debit card for incidentals and make sure you have the money to cover that and anything else you decide to purchase on your trip before you leave home. If rates seem a bit high for the time period you're wanting to travel, check the Las Vegas Convention and Visitors Authority web page HERE and see what conventions are in town (just plug in your dates and go). A large convention guarantees high room rates for everyone. A monthly listing of conventions with over 10,000 attendees can be found HERE. Please note that sometimes when you sign up for room deals online you will not get a players club promotion that is being offered on-property for new members. (In other words, if you sign up online for a rewards club account - and when you arrive at the property they're offering a $25 free play for new members - you might not get that free play since you already signed up online. I know, it doesn't seem fair, but that's the way it works.) Also check the individual hotel's Facebook page for deals before you come out. The $20 Trick - This is a great way to get an upgrade on a room, but it may not work every time. When checking into your destination hotel, fold up a $20 bill and put it between your credit card and driver's license that you hand over to the clerk and ask "Are there any complimentary upgrades available?" You may get a pool view instead of a parking lot view, or a higher level room with a better view of our favorite city. It just depends on occupancy, season, etc. One caveat: If the hotel is approaching capacity, for whatever reason, you may not get any upgrade at all, so don't be offended. But this does work more often than not. We were upgraded from a basic room to a corner suite during a September trip (after the Labor Day holiday) using this method, so it was quite a good deal for us. Special Events - Be sure and mention if it's your anniversary, birthday, even your first trip to Las Vegas. Sometimes, a good check-in agent will give you an upgrade if something's available. OK, now we know you've heard about the fabulous suites available to many high rollers, but might never get a chance to see, so click HERE to get a look at the "Anthology Collection" offered by Caesars. LVGroceriesDeliveredFresh will deliver direct to your hotel for a delivery fee (+any tip you might give the delivery person) of $14.99 for next day delivery and $24.99 for same day service. This is really handy if you have a room with a kitchenette. Most of the prices were full retail (no cut rate pricing), but you are paying for convenience. MGM - Aria, Bellagio, Circus Circus, Excalibur, Luxor, Mandalay Bay/The Hotel, The Mirage, MGM Grand, Monte Carlo, New York-New York. 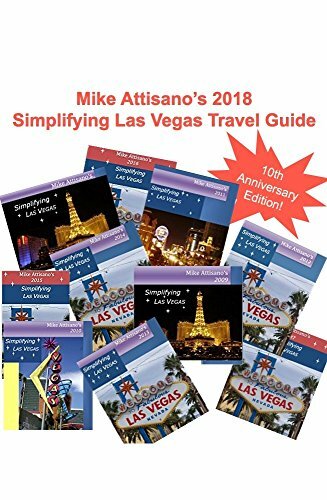 If you'd like to have a little help in planning your Las Vegas getaway, MGM does offer vacation packages with all sorts of additions (airfare, rooms, limousines, show tickets, discounts, meals/buffets, etc.) go over to the site HERE, and take a look around. MGM even offers a Vacation Payment Plan to help make paying for your trip a little less stressful! You can include everything and then make multiple payments (the number you can make is dependent on how far out you've booked) so it's easier on your budget. UPDATE: On 01/08/13, MGM announced that they will offer free Wi-Fi at their 8 properties in Vegas. The service is operational at Bellagio, MGM Grand, Mirage and Mandalay Bay. It will soon be operational at Luxor, Excalibur, NY-NY, and Monte Carlo. Faster download speeds will be available for hotel guests with non-guests being able to purchase a speed upgrade. A good article on the new service can be found HERE. Caesars/Harrahs - Caesars, Flamingo, Harrah's, The Quad, Paris, Planet Hollywood, Rio, Riviera. UPDATE: On 03/01/13, Caesars will begin to charge a resort fee your stay, reversing their "No Resort Fee" stance. Their resort fees are listing in the link at the beginning of the page along with all the other resort fees. Downtown/Fremont Street - Most of these hotels/casinos are not a part of a larger group like those on the strip, so we're giving you a one-stop-shop to find links to this group of hotels. Golden Nugget is classic Vegas (their DEALS page is HERE, and their e-mail special signup page is HERE). The D (Players Club) is one of the more recently refreshed locations downtown. The Plaza was shut down and given a top to bottom refurbishment in 2012 and is an enjoyable place to visit/game/stay. The Plaza's Hotel promotion page is HERE, and their Casino promotions page is HERE. Main Street Station is part of Boyd's casinos listed above, which is where their specials are listed. Four Queens has been around since 1966. Check out the cabana suites at El Cortez (their Promotions page can be found HERE). Las Vegas Advisor - This site has some seriously great deals on it, without much work on your part. You don't even have to be a member to access this area of their site. Click the link above and you'll see a list of all deals available. Scroll down the alphabetical list to find the hotel you're looking for and look at the list of deals available. Note the expiration dates as you're looking at deals and be sure and select deals within your time range. Across from the name of the hotel you'll find the resort fee charged by the hotel, so you can get an idea of what your stay will really cost you. That's a nice touch.